Free download Parts Catalog and Service/ Owner's/ Operator's manuals for Parsun Outboard motors. Parsun outboard motors are available for all boats, from PVC fishing boats to solid boats and yachts. Parsun is currently one of the fastest growing manufacturers in the production of outboard motors. Having appeared on the Chinese market in 2006, it used all the international experience gained in the production of outboard motors, using the most modern technologies and cheap skilled labor. Taking as a model the best of the currently existing models of two-stroke and four-stroke outboard engines, Parsun manufactures a wide range of high-quality and low-cost equipment. Today, Parsun has 31 exclusive distributors in 39 countries. Quality and reasonable price ensures steady demand for Parsun outboard motors in European countries, for example, in 2008, more than 5,000 units were sold in Sweden alone. The company's product range includes both simple but reliable 2-stroke motors as well as high-tech and economical 4-stroke ones. The power produced by the engines is from 2.6 hp up to 40 hp Most models are available with short and long deadwood.. The production of engines involves the use of only high-quality materials such as marine, high-strength aluminum. To improve anti-corrosion properties, all motors have a multi-layer coating consisting of two layers of primer, two layers of paint and a layer of varnish. Successfully passed tests of Parsun outboard motors in Europe showed full compliance with EPA standards, a European quality certificate was also obtained. But the most popular brand Parsun has become in North America, in the USA and Canada, where the largest number of official dealers (30 companies) of this brand are located. Such popularity speaks volumes. North American consumers are very demanding on quality and have long been spoiled by reliable Japanese and American engines. In the process of production and assembly, all parts of Parsun outboard motors are thoroughly checked for compliance with quality requirements. Each model of the motor, since its launch in production, must pass several days of testing (over 20 days). Also, each copy of the engine, left the factory, is tested for at least 30 minutes, to identify possible defects. The versatility and the wide choice of capacities among the Parsun model motors suggests that they are perfect for both those who love fishing and hunting, and for those who are used to active recreation on rivers and lakes. In addition, these motors are well proven when used by various organizations and services in their work. 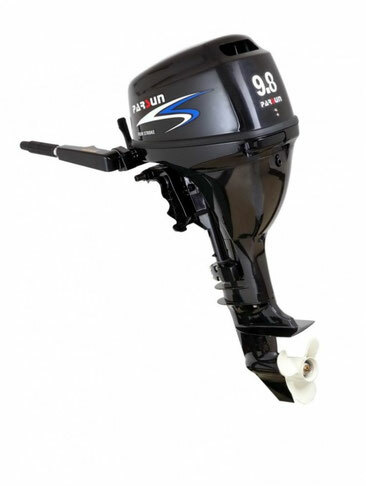 If you are looking for a boat motor to buy, then pay attention to Parsun - this is quality, reliability, low noise, reasonable price.